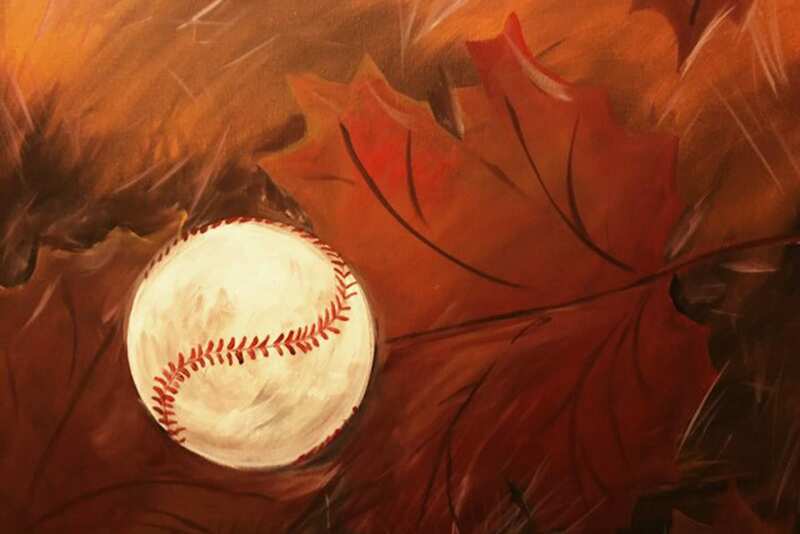 For the second time this year, guests of the World of Little League® Museum and Official Store will have the opportunity to learn to paint inside the iconic museum as part of a “Art at the Museum” event with local artist, Amanda M. Emig, on Sunday, October 14, starting at 2 p.m.
For $40 per person, each participant will be provided art supplies and a canvas and receive step-by-step instruction by Mrs. Emig, owner of Wistart Studio in Hughesville, to create a memorable painting of a baseball among fall foliage. Snacks will also be provided. Reservations are required and should be made before October 10 by contacting the Museum at (570) 326-3607 or at Facebook.com/WistartStudio. No experience is necessary in order to register. Participants may arrive prior to the event to visit the Museum at no charge. Personal masterpieces may be taken home before the Museum closes for the day. Additional information about the project is available on the Museum’s Facebook page. Owner of Wistart Studio in Hughesville, Pa., Amanda Emig is a professional artist. Her work includes pencil sketches of beloved animals, pet portraits, watercolors, painting, illustrations, and graphic design. In addition to Wistart on the Vine programs, Emig offers private art instruction. Emig has a master’s degree in education from InterContinental University and bachelor’s degree in communication design from Kutztown University. She has been an adjunct professor at Pennsylvania College of Technology and is employed by the James V. Brown Library as promotions manager.